Announcing Oh Dear Diary 5! 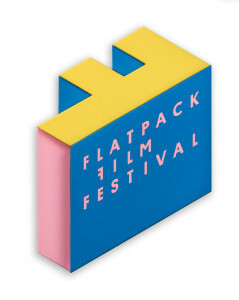 What’s more, we are delighted to announce that April’s Oh Dear Diary will be part of Flatpack Film Festival – in the festival’s tenth anniversary year, no less! So you can expect a slightly different format, with some extra additions to the diary readings to add a bit of variety. Exciting, non? We’ll be releasing the details in good time (ie when we’ve got them). In the meantime… did you keep a diary when you were aged between about 12 and 20? Could you bring yourself to get up on stage and read some of it to us? It’s not as scary as you think, honest! If you think you’d be up for it, and you can make it to Brum city centre on the evening of 22nd April, we’d love to hear from you. Email emma@ohdeardiary.com and tell us a bit more about yourself and your diary. I’m very pleased to announce that the first Oh Dear Diary will take place in Birmingham this autumn, as part of the Birmingham Comedy Festival. I’ve still got my teenage diaries! Can I read mine? Want to read your diary? Absolutely! If you’d like to read from your diary on 9th October, please email emma@ohdeardiary.com to sign up. Aagh, no. I just want to watch. …And that’s fine too (scaredy cat). Tickets will go on sale over the next couple of weeks – I’ll announce it all over the place as soon as they do.